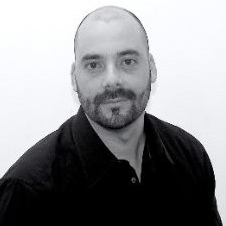 Juan Roberto Castro.CEO/Founder/Partner of NEURO TRACKING, one of the first full installed NeuroLabs in Central America (CenAm) for doing Psychometric and Biometric research / studies. Our list of CenAm clients include all kind of industries like advertisement agencies, retail companies, Banks, call centers and Real State development companies. With more than 15 years of experience in project conceptualisation, Juan Roberto has being involved as Project Manager in more than 50 successful developments projects in Guatemala and CenAm. JR has 3 specialisations in Re-Engineering & Business Process, Real State Management and NeuroEconomics and NeuroMarketing and 4 Masters in Environment & Bioclimatic Architecture, International Architecture, International Marketing and NeuroMarketing.